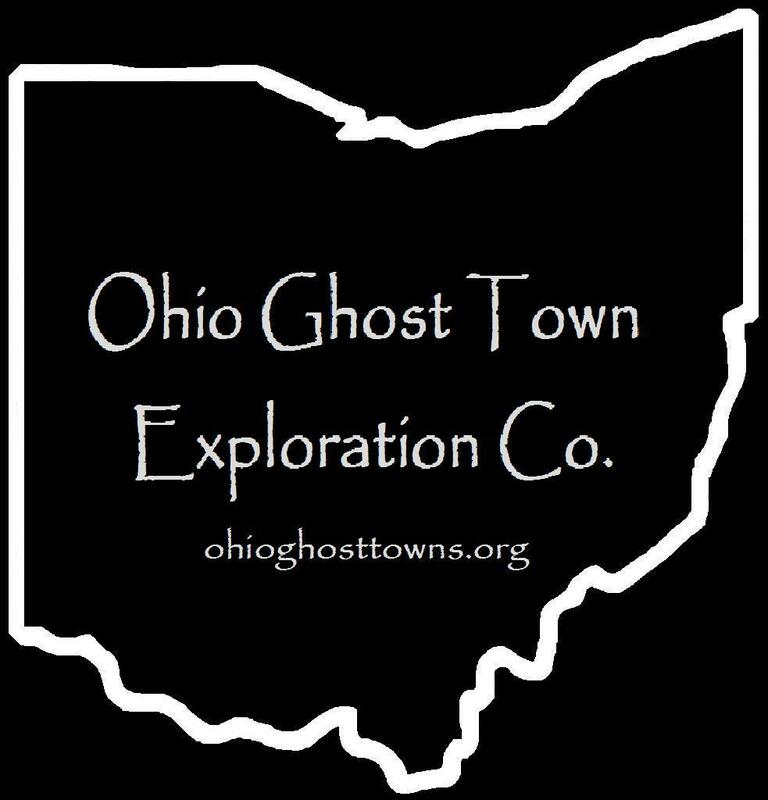 Gallia County – Ohio Ghost Town Exploration Co. Description: Angola, along with the vast majority of Gallia County’s ghost towns, was a farming, livestock raising, & postal town. George H. Bashore (1863 – 1893) was the first postmaster. He was succeeded by one of his brothers, Jacob A. Bashore (1849 – 1912). They were both Freemasons & were buried with relatives & other residents in Clay Chapel Cemetery. The cemetery was officially established in 1853. McLellon Cemetery dates back to at least the 1820s. It was named after James McLellon (d. 1865) & Esther (Stone) McLellon (1810 – 1838) from Pennsylvania. Description: Boggs was a farming & livestock town. James Ansley Boggs (1843 – 1889) was the first postmaster. He served in the National Guard during the Civil War & was also a township treasurer. James married Matilda (Waugh) Boggs (1848 – 1937) in 1877 & had 5 children. His parents, James Boggs (1788 – 1869) & Mary (Williams) Boggs (1806 – 1888) were early pioneers in the county. Civil War veteran Stephen E. Niday (1841 – 1919) was the second postmaster. He married a sister of James, Elizabeth (Boggs) Niday (1847 – 1902). They had at least 9 children. The town had a couple more postmasters before it closed. Everyone mentioned in this listing was buried in Bethesda Cemetery. It was established in 1832 on land owned by the Williams family. Description: It was along Bullskin Creek with Cornelius Holley (b. 1794) from Virginia as the postmaster. The family surname is also spelled Hawley or Halley in some branches. Description: The town was founded by county pioneers Archibald Chapman (1787 – 1870) from Montgomery County, Virginia & Elizabeth (Mills) Chapman (1787 – 1857) from Essex County, Massachusetts. They had a few children & the post office was established by the family’s second generation. Isaac Chapman (1812 – 1878) was the first postmaster. He was buried with relatives, including his parents, in Chapman Cemetery. Elijah F. Williams (1848 – 1917) was the last postmaster. He married Ellen Chapman (1854 – 1908) & was buried in Good Hope Cemetery. The church was established in 1895. Description: William Malaby (1831 – 1907) was the first proprietor & postmaster. He owned an 85 acre farm on Nibert Rd in Morgan Township at the Cheshire Township border & an 80 acre farm on White Oak Rd in Springfield Township at the Morgan Township border. William was married twice, had about a dozen children, & was buried with relatives in Campaign Cemetery in Addison Township. Civil War veteran David Wilt (1830 – 1906) was the next postmaster. He was buried with relatives in Wilt Cemetery in Morgan Township. Isaiah Thomas (1860 – 1957) was the last postmaster. He was laid to rest with relatives 4 miles northeast of the GPS coordinates in Poplar Ridge Cemetery on the southeast side of Poplar Church Rd in Cheshire Township. Description: The proprietors were Stephen Wilcox Jr. (1817 – 1885) from New York & Rebecca (Butler) Wilcox (1821 – 1898). They married on the 4th of July in 1840 & had at least 6 children. Stephen was the first postmaster & Rebecca took on the position after he passed away. William S. Welker (1851 – 1930) was the last postmaster. Everyone mentioned in this listing was buried with relatives in Mount Tabor Cemetery 4 miles southeast of the GPS coordinates on the south side of Mt Tabor Rd (County Rd 89). Description: Joab A. King was the first postmaster. He was succeeded by James F. Rose. The original Liberty Chapel was constructed in 1887 but was destroyed by a fire before its dedication ceremony. The congregation purchased a former one-room schoolhouse at the site of the present church & worshiped in that until the current structure was completed in 1913. Description: It was in the western half of the township. Jacob Lindewood (1854 – 1929) was the first postmaster. He married Charinda (Swain) Lindewood (1856 – 1925) & moved to out of the state. Jacob & Charinda were buried with relatives in IOOF Cemetery on E Cole St in Du Quion in Perry County, Illinois. John Linderwood (1851 – 1914) was the second postmaster. He also moved to Illinois & was buried with relatives in IOOF Moweaqua Township Cemetery on Putnam Rd in Shelby County. Oscar Russell was the last postmaster. Description: The proprietors were Nathan Rife (1826 – 1911) & Elizabeth (Darst) Rife (1828 – 1901). They got married in 1849, had at least 8 children, & were laid to rest in Rife Cemetery. Description: The town had a couple of local schools. Huntington Township School No. 8 was on the south side of Keeton Run on a long gone road & Huntington Township School No. 9 was on Sherman Rd north of Brush Cemetery. There was also a church at the cemetery. George W. Bodekin was the first postmaster. He was succeeded by George C. Hartsook (1842 – 1917). George married Sarah (Deckard) Hartsook (1840 – 1915) in 1861 & had a few children. They were buried with relatives in Brush Cemetery. The post office moved to the intersection at Brush Cemetery in 1901. Julius N. Deckard (1834 – 1917), a cousin of Sarah, was the last postmaster. He married Eliza (Price) Deckard (1840 – 1905), had at least 6 children, & was also buried in Brush Cemetery. Description: Evan L. Evans was the first postmaster. He was succeeded by Amos Deckard (1873 – 1962). Amos married Mary Jane (Sharp) Deckard (1876 – 1966) later moved to Franklin County & was buried there with relatives in Union Cemetery at the intersection of Olentangy River Rd & W Dodridge St. Description: Thomas J. Halley (1854 – 1912) was the first postmaster. He married Lenora (Burnett) Halley (1853 – 1934) & was buried with relatives 3 & 1/2 miles west of the GPS coordinates in Mercerville (Old Mercerville) Cemetery on Mercerville Cemetery Rd. Hilas Russell Johnson (1842 – 1918) was the last postmaster. He married Caroline (Clark) Johnson (1842 – 1915), had at least 7 children, & was buried with relatives 3 & 1/2 miles north of the GPS coordinates in Providence Cemetery on the north side of Teens Run Rd in Clay Township. Description: Hugh George Hardway (1869 – 1922) was the first postmaster. He married Mary (Shuler) Hardway in 1900. Hugh & Mary moved around the country a few times, had 5 children, & were buried with relatives in Des Moines Cemetery on 2nd St in Des Moines in Union County, New Mexico. John A. Calhoun (1867 – 1909) was the next postmaster. He was buried with relatives about 8 miles north of the GPS coordinates in Centenary Cemetery on Centenary Church Rd in Green Township. Owen Boster (1882 – 1969) was the last postmaster & was buried with relatives in Macedonia Cemetery. Description: Civil War veteran Ansel Evan Kerns (1844 – 1913) was the proprietor & postmaster. He married Lurana (Thierry) Kerns (1850 – 1883) & had a few children. They were laid to rest with relatives in Dickey Chapel Cemetery 2 & 1/2 miles south of the GPS coordinates at the intersection of Hannan Trace Rd & Elliott Rd (Township Rd 726). Description: Lincoln was a farming town with a village surrounding the area at the GPS coordinates. Charles Stewart was the first postmaster. There were a few other postmasters over the decades, including Joseph B. Walter (1859 – 1952) who was the last. Despite having lost its post office, Lincoln made it onto the 1910 county map before fading into obscurity in the mid-1900s. Joseph was buried with relatives in Lincoln Pike Chapel Cemetery. Description: Andrew Jackson Johnson (1835 – 1922) was the postmaster. He married Diana (Rankin) Johnson (1839 – 1874) & had at least 2 children. One of their daughters, Nancy (Johnson) Sheets, married Gory Jasper Sheets (1863 – 1939) & had 14 children. 6 of their sons served in World War I. Lewis M. Sheets (1847 – 1912) suceeded Andrew as postmaster. Lewis was a school teacher for 40 years & served as township recorder & accessor. He married Nancy (Drummond) Sheets (1850 – 1922) in 1863, had 9 children, & was buried with many relatives in New Sheets Cemetery. Andrew & Diana were buried with relatives in Mercerville (Old Mercerville Cemetery) about 5 miles east of New Sheets Cemetery. Description: The town had a church in the southeast corner of the intersection of SR 588 & Centenary Rd & was named after the McCormick family which owned around 1,000 acres of the land in the area in the mid to late-1800s. Melzar N. Magnet (1846 – 1935) was the first postmaster. He moved to Scioto County & was buried in Greenlawn Cemetery on Offnere St in Portsmouth. Carrie Belle (Mills) McCormick (1877 – 1975) was the next postmaster. She married Cyrus McCormick (1875 – 1955), had a few children, & moved to Delaware County where she was buried with relatives in Sunbury Memorial Park on West Cherry St. Mary A. Riggs was the last postmaster. Description: Civil War veteran John Warren Irion (1843 – 1923) was the first postmaster. He was married twice, had several children, & was buried with relatives & other residents of Moody in Mt Carmel Cemetery. Cornelius C. Neal (1853 – 1935) was the second postmaster & was buried in Mt Carmel Cemetery. Erastus E. Clark (1872 – 1957) was the next postmaster. He was buried in Macedonia Cemetery about 2 & 1/2 miles north of the GPS coordinates on the north side of Clay Lick Rd (Township Hwy 702). Civil War veteran Phillip A. DeWitt (1844 – 1929) was the last postmaster & was also laid to rest in Mt Carmel Cemetery. Description: Obal had a school (Huntington Township No. 5) in the northwest corner of the intersection. The church at the cemetery was originally called Tabor & is presently called Little Pearl Church Of Old Regular Baptists. William Lewis (1835 – 1926) was the first postmaster. He was buried with relatives in Brush Cemetery about 2 miles southwest of the GPS coordinates at the intersection of Mt Tabor Rd & Scott School Rd (County Rd 139). The last postmaster was Civil War veteran William A. Louks (1841 – 1908). He married Eunice (Jacobs) Louks (1846 – 1926), had several children, & was buried with relatives & other residents in Mt Tabor Cemetery. William was unfortunately killed by a skull fracture from a heavy branch that fell while he was chopping down trees on his farm along Raccoon Creek. Description: Prospect Hill was named after the local hill’s summit which is over 900 feet. The cemetery behind the church dates back to the late-1800s. Description: Providence grew around its Baptist church congregation which formed in the early-1820s. The area was originally called Smiths, named after a local family. The first church structure was built on land donated by William Smith (1786 – 1849) & Margaret (Wough) Smith (1794 – 1860) from Virginia. It was a log building near the GPS coordinates & was destroyed by a fire in 1826. A new wood frame church at the present site was completed in 1852 on land donated by the Clark family. It suffered the same fate as the first church in 1887. Construction of the current church structure began the following year & it was dedicated in October of 1890. William Curtis Clark (1874 – 1939) was the town’s postmaster. The office was in section 7 of Harrison Township on the east side of SR 218. William married Sarah (Carter) Clark (1876 – 1957) & had a couple of children. They were buried with relatives & other residents in Providence Cemetery. William & Margaret Smith were buried with relatives & other early residents in Smith Cemetery. Description: The only reference to Rosebud that could be found was an obscure listing in the 1920 book The Ohio River: Charts, Drawings, And Description Of Features Affecting Navigation at a distance of 282.1 miles below Pittsburgh. Description: Rufus W. Houck (1875 – 1903) was the first postmaster. He was buried with relatives in Dickey Chapel Cemetery about 2 miles northeast of the GPS coordinates at the intersection of Elliott Rd & Hannan Trace Rd. The Martt & Houck families were related by marriage. Description: The post office moved north to Cora in 1922. Description: The town was founded by David Thomas & Jessie Dinah (Gray) Thomas who moved to the U.S. from Wales & settled in Gallia County in 1837. It was named after the farm David was born on in Wales, which is still in existence, & translates to “house on the moor”. David & Jessie donated land for the church & cemetery. The original log structure was completed in 1841 & was the first Welsh church in the state. It was replaced by the current wood frame building in 1850. The present church was restored in 1970 & has a historical marker with more info. A replica of the original log church is also at the site. The ghost town sits along the Welsh Scenic Byway, a 64 mile route through Gallia & Jackson County which highlights the heritage of the Welsh culture in southeast Ohio. Description: James A. Smeltzer (1868 – 1945) was the proprietor & postmaster. He married Esta (Rader) Smeltzer (1875 – 1922) & was buried with many relatives in Mound Hill Cemetery on SR 141 in Gallipolis. Cheshire was settled in the early 1800s & became a town in the 1820s with a post office that started up in 1826. 27 lots were plotted for the town’s growth & the first school was built in 1835. Farming was its biggest source of income for several decades as crops were floated on the Ohio River from Cheshire to as far as New Orleans. Coal was later discovered in the area & Cheshire got a train station on the Hocking Valley Railway. It also had a hotel, several stores, a church, flour mill, & a barrel factory. In 1863, 2500 Confederates on horseback swept through the town during Morgan’s Raid. The hotel & school dorm were used to house captured soldiers. In 1913 & 1937 Cheshire was devastated by Ohio River floods but the town survived both times. The James M. Gavin (Kyger Creek) Power Plant was built on the west side of Cheshire in 1975. Several old homes & businesses were demolished for its construction. The residents of Cheshire were exposed to soot raining down from the power plant smokestacks & some suffered unhealthy side effects. Rather than face numerous lawsuits, the power plant owners proposed a buyout of the town in 2002 & offered the residents money to move out of Cheshire. Some left & some stayed, vowing that they would never leave no matter how much they were offered. More homes & businesses were demolished, but In 2004 Cheshire annexed some property to the north & west in the hopes that the town will have a brighter future. The town’s population was 132 as of the 2010 census. Cheshire still has several old buildings in the area. It was settled by a couple from Virginia in 1805 on the banks of Raccoon Creek. William Glenn (1763 – 1838) & Ann (Curry) Glenn (1768 – 1850) had 13 children & built the first church in 1829. William owned an ox ranch with Samuel R. Holcomb, who went on to lay out the town of Vinton. The Glenn’s children continued to farm, run cattle ranches, build mills, & employ other residents in the area. In the mid to late 1800s, the family donated land for a train station on the Hocking Valley Railway. The town had a post office from 1890 – 1933. Many residents moved away when the railroad went out business. Glenn Cemetery is a half mile south of Vinton off of SR 325. It’s on the same gravel road as Holcomb Cemetery. Vinton was laid out in 1832 by General Samuel R. Holcomb, a former member of the U.S. House of Representatives. It was named after an early settler in the area, Samuel Finley Vinton, the same man Vinton County is named after. The town quickly flourished & a post office was established in 1835. Vinton became a target for Confederate soldiers who heavily ransacked it in 1863. The event came to be known as Morgan’s Raid & is currently detailed by Ohio Historical Marker # 16-27 in front of the post office at the corner of SR 160 (Jackson St) & N Main St. The Columbus, Hocking Valley, & Toledo Railroad rolled through in 1880 & Vinton had a population & industry boom like most other railroad towns. Iron ore was their main source of income for a long time, but the mines eventually stopped producing & the railroads left. Vinton has struggled to maintain its citizens since then due to the lack of economic opportunities. It also had bad floods in 1937, 1968, & 1997 which was another reason why some residents left. The population was at 324 in the 2000 census. Holcomb Cemetery is a half mile south of Vinton off of SR 325. It’s on the same gravel road as Glenn Cemetery.